There are a number of gifts that fit all these holidays and gift giving occasions. Towel warmers are one popular choice. Towel warmers come in a variety of styles, installation choices, heating elements and price ranges. 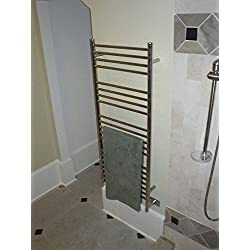 For the low price, you can pick up an electric towel warmer in one of six finishes and dozens of designs. Freestanding warmers require no tools to install, they simply plug into a grounded outlet. There are wall mounted warmers that are also electric and plug into an outlet, installation only requires a few screws and all the hanging hardware is included. These work by heating air within tubes that make up the rack. 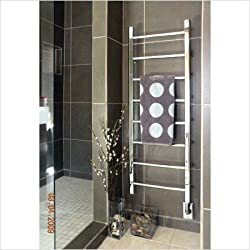 For medium price, you can pick up an oil filled towel warmer. While these are similar in style to the electric warmers, they also plug into an outlet and come in freestanding and wall mounted styles. These work a little differently, they heat oil that is inside the tubes. These require less electricity as the oil heats quickly and stays warm longer than air filled tubes. Whether air or oil filled racks are chosen, you can do much more than heat towels. Parents can heat blankets and baby clothes for babys comfort. In winter, you can heat sweaters, socks and dry wet outdoor clothes. Put shoes underneath to dry and heat. 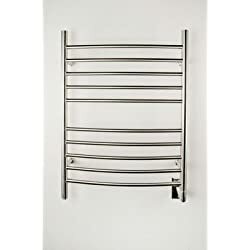 For spa and pool owners, a cabinet style towel warmer is a good choice. While these are much more expensive, these cabinets can be placed outside year round. Installation is generally not required, as they are plugged in to a grounded outlet. Timer options are common, as are lights that come on only when cabinet doors are open. In addition to heating towels, they heat robes, shoes and even dry bathing suits.